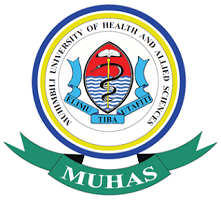 Muhimbili University of Health and Allied Sciences (MUHAS) is inviting applications from suitably qualified Tanzanians to be considered for employment to fill vacant positions at the MUHAS Genetics Laboratory (MGL), Biochemistry Department. iv. Disciplined, credible, industrious, interactive, integrative and self-driven personality. v. To file and index all in-coming and out-going correspondence and mails in the office. vi. To ensure office, office equipments and machines in his/her custody are well maintained. vii. To act as personal assistant to the Laboratory director. viii. Receive visitors and direct them accordingly. ix. Submit official directives to the relevant officers. x. Arrange and organize meetings. xi. Prepare list of office requirements and submit the same to the proper officer. xii. To carry out any other related duties as may be assigned by the superiors. related to his/her work as assigned by his/her superior. reliable contact postal address, email address and telephone numbers. application letter and marked on the envelope. • Computer Certificates where applicable. • Professional Certificates from respective boards where applicable. • One recent passport size picture and copy of birth certificate.